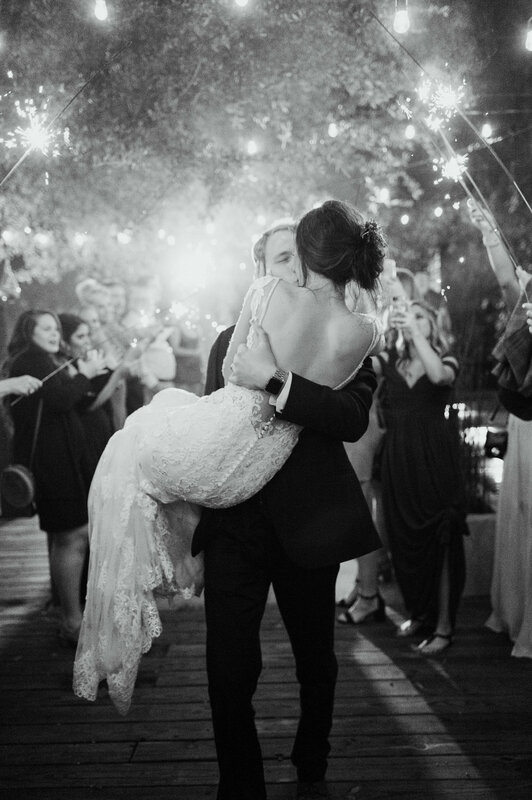 I first met Dani 8 months before her wedding day when she hired me for final month planning and we instantly clicked! I knew her wedding day was going to be beautiful and flawless, based on her A Team of vendors she assembled. Beatbox Portraits captured all the wedding day details beautifully, from Dani’s lace long sleeve dress hanging on the ceremony greenery hoop, to all the acrylic wedding signage. 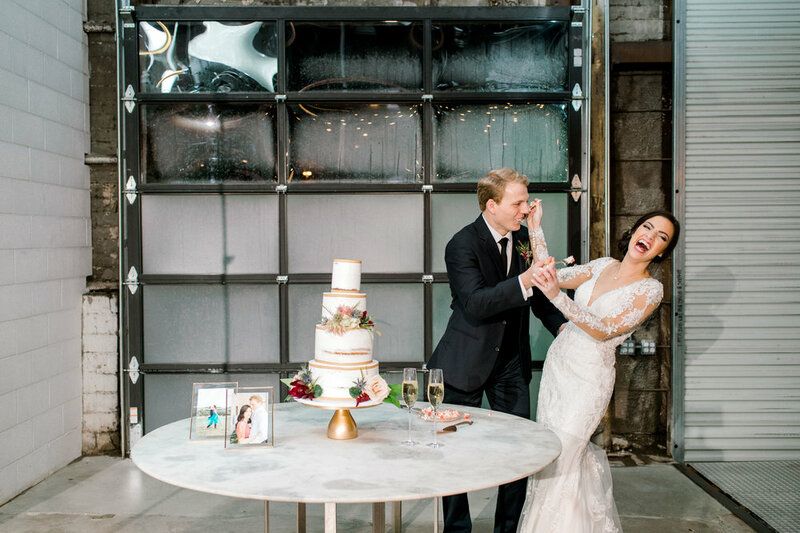 Dani and Eric’s Fort Worth wedding was the perfect blend of industrial and vintage, with the 4Eleven venue in Downtown acting as the perfect modern industrial backdrop. 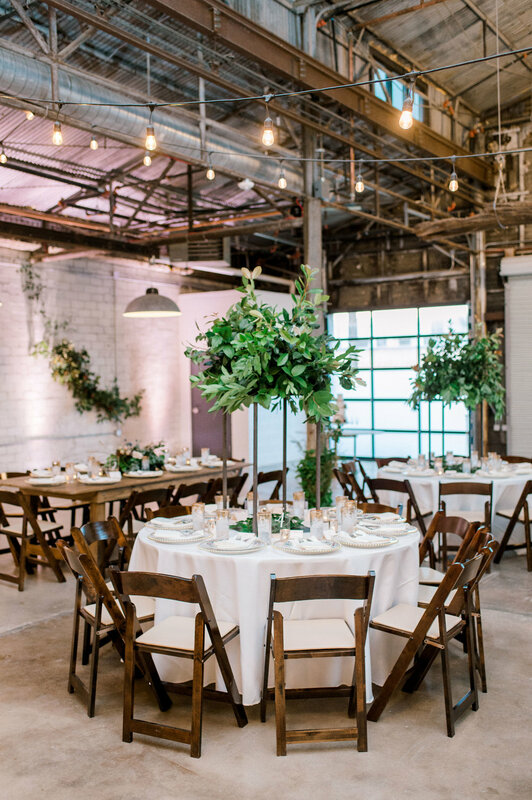 Lush greenery was the major focal point at this wedding with a large greenery ring, tall greenery arrangements, and of course Dani’s lush bridal bouquet. 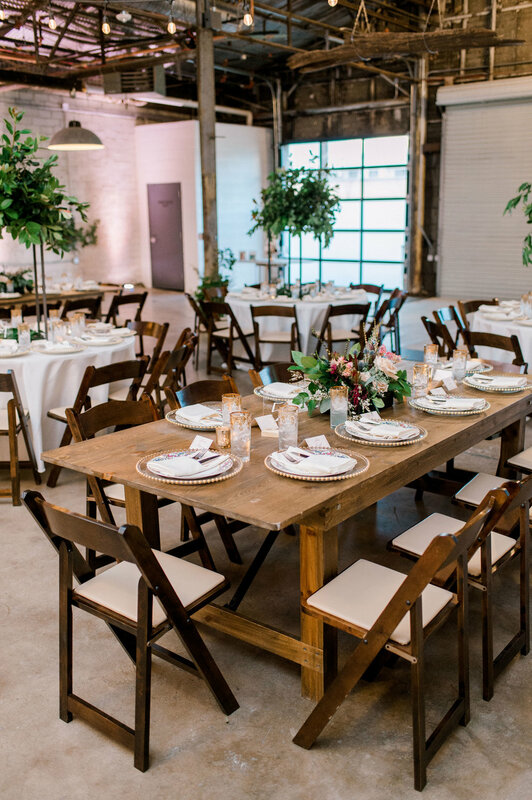 Vintage rentals from POSH Couture rentals in Dallas were placed at each place setting to elevate this rustic venue into a wedding venue. 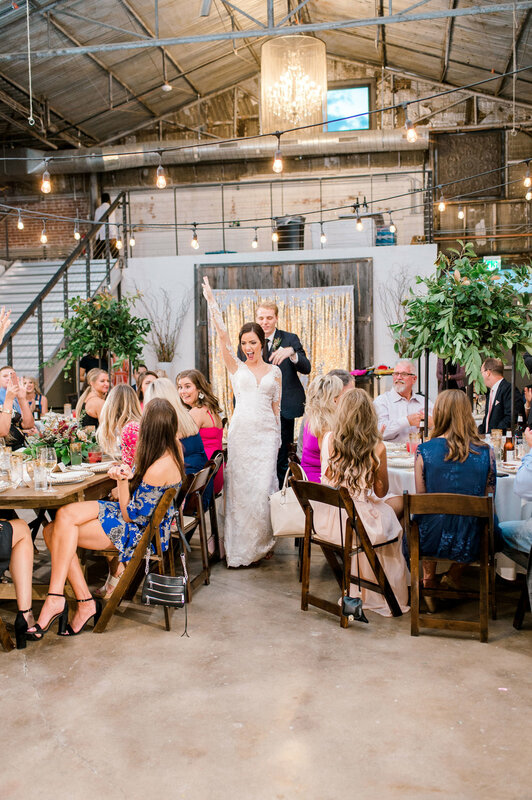 A mixture of farmhouse wood tables and round guest tables created tons of visual interest throughout the room, and which was centered by a stunning head table. A modern white cake from Loft22 Cakes was accented with textured florals and sat atop a sleek gold cake stand. No detail of this romantic vintage wedding was overlooked! The girls arrived early the morning of the wedding to utilize 4 Eleven’s beautiful bridal suite. Dani and her bridesmaids popped champagne and exchanged gifts while getting ready in their custom silk robes.Dani and Eric chose to do a first look portrait session, out on the 4 Eleven’s beautiful brick patio. The wedding party portraits wrapped just as the Texas rain rolled in. The bride and groom were swept away to their private suites as guests arrived for the ceremony. Dani and Eric got married under a spectacular all greenery hoop and danced down the aisle as the new Mr. and Mrs! Guests were invited to the upper level of the venue, while down below, the vendor team was working away to flip the room for the reception. The reception was kicked off with Dani and Eric’s grand entrance and a sweet welcome toast from her father. Guests enjoyed food from the delicious Bonnell’s catering and quickly took to the dance floor to dance the rest of the night away! 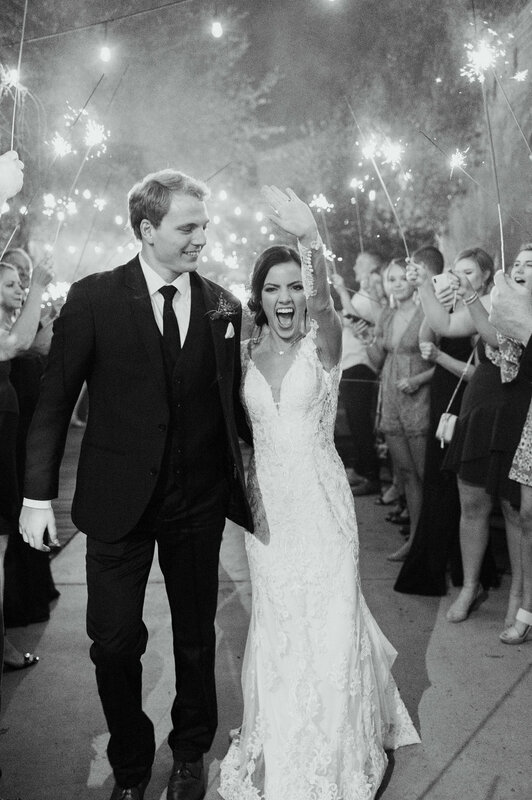 The night ended in style with a spectacular sparkler exit and the newlyweds climbing into a vintage convertible!